Everyone’s abuzz about last week’s Sumfest, Jamaica’s number one music festival whose lineup of star reggae artists has earned it the lofty title of “Greatest Reggae Show on Earth.” The weeklong event, whose musical talent included big names like John Holt, Shabba Ranks, Trey Songz, and Damian “Jr. Gong” Marley, takes place every July in Montego Bay. Thursday was “Dancehall Night,” an opening concert that got everyone jumping with hot, new Jamaican talent like Popcaan, Tommy Lee, and Kiprich. Reggae legend Shabba Ranks gave a moving performance the following night, her first concert in Jamaica in over a decade. Joining the cadre of cool were old-school pros like John Holt, Leroy Sibbles, Yellowman, and U Roy, who commemorated Jamaica’s 50th anniversary of independence with smooth island beats that made concert-goers never want to leave. Sound like a good time? 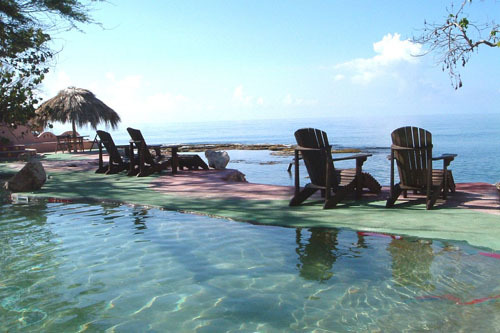 We envision the ultimate Jamaica vacation in the making… Next year, the event will take place July 14-21. Book a stay at The Caves, an Island Outpost property located near the westernmost point of Jamaica whose ten acres of lush scenery boast thirteen cliff-side accommodations with panoramic views of cobalt ocean. Featuring an open-air Aveda Concept Spa and a rum and cigar bar set in a grotto, The Caves is ready to turn Sumfest into the perfect summer break. Mark your calendars! 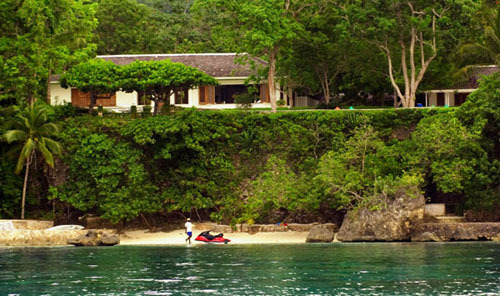 The shabby chic Island Outpost resort is offering runners their specially-created Reggae, Running & Relaxation package. The all-inclusive race-weekend package is complete with a pasta party, race transfers, spa treatment, and celebratory cocktail party. And guests who wish to stay on a little longer will receive 10% off any additional nights booked. Not ready to go the full 26.2 miles? The Reggae Marathon offers a half marathon and 10K options as well. Registration is still open, so click here to sign up! Fly into Montego Bay, head down Lighthouse Road, and arrive at The Caves. You’ll be greeted with their signature Cliffhanger cocktail. (Hmm… one cocktail won’t hurt before the big day, right?). 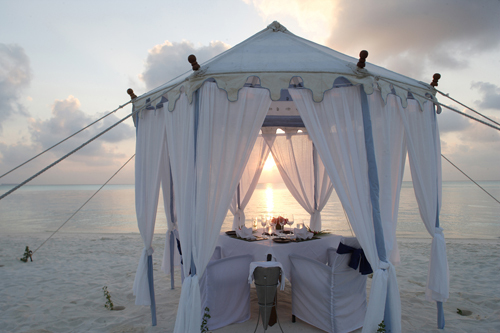 That evening, The Caves will provide roundtrip transfers to the annual “World’s Best Pasta Party” at Couples Swept Away. 26.2 miles later, with the endorphins flowing, The Caves will meet you at the finish line for transfer back to the hotel. That evening, let loose in the Blackwell Rum Bar (set in a candlelit cave) at a celebratory cocktail party. Experiencing that stiff “I didn’t even know I had a muscle there!” feeling? Head to the resort’s spa for a Blue Mountain Coffee Scrub to help ease the tension. Relax in the sun, and if you have a little bit of energy left, leap from one of the property’s cliff-edge jumping points (the highest is 30 feet) into the impossibly blue waters, or take a leisurely snorkeling tour through the limestone grottos.